Mirna Talks About Having The Recognizable Face As The "Fat Runner"
Our September 2017 cover runner Mirna Valerio explains what it's like to be in the public eye, when any move you make can inspire someone. Mirna’s mother, Joann Taylor, at the Women’s Running September 2017 cover photoshoot location. “Um, what?” I responded, confused. I looked back at my colleagues, confused and, admittedly, a bit stunned. “What does she do here? What’s her job?” I asked. “Yes! We’ve been trying to meet you for two years already. From the time that magazine article came out, we’ve been looking for you. Every time we drive past the school to get to our cabin we come up to see if we could meet you but you’re so hard to find! I wanted to see if maybe I could go for a run with you,” the man said. Both he and his wife got out of the car and hugged me. They were so happy to finally meet me and said that anytime I was down in Alabama, they’d be happy to host me. We chatted for a little while longer, and then they departed, delighted to have finally met me. Slight creepiness aside, this exchange only served to remind me that people are always watching, observing and learning from you. And maybe, just maybe, admiring you from afar. In fact, I wrote a post on my blog a couple of years ago when I talked about a woman who, unbeknownst to me, had been counting my loops around a lake trail. As I ran by, she asked, “How many?” I responded, “Four!” thinking she was referring to how many loops I was planning on doing. “You’re only at three!” she said and continued on her walk. Wow, folks! Never in my life did I imagine that anyone besides friends and family would ever walk up to me in an airport and know and/or care who I was. I also never imagined that I’d see the image of myself on the cover of a running magazine at that same airport and then have hundreds and hundreds of people reach out to share their own stories with me on social media and email. From the shy ninth grader who ran a mile and decided to join the field hockey team because it looked easier than soccer (it wasn’t!) to the mom, educator, wife and runner I am today—I consider myself fortunate and blessed. I get to spread the joy of doing what I absolutely love to do on a daily basis, and I have huge platform on which to do so. I get to write about stuff I care about. I get to travel to amazing places, participate in incredible events and be part of a community that I’ve loved since that first painful mile on the field hockey field. Related: Take A Peek At Our September Issue, Featuring Mirna Valerio! 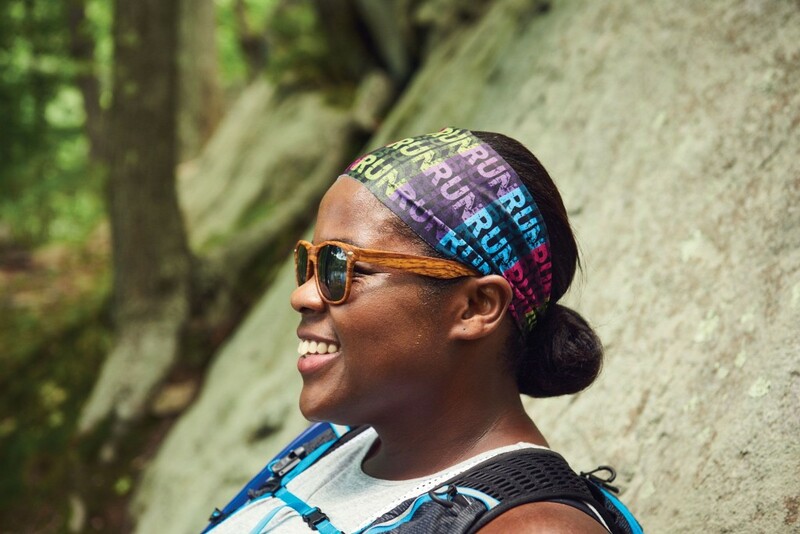 This summer, my mother accompanied me to my Women’s Running cover shoot, in a state park in Upstate New York. There was a hill—a mountain really—that we were to climb so that James Farrell, the fabulous photographer, could get the awesome shot that he did on the top, complete with a sublime vista in the background. 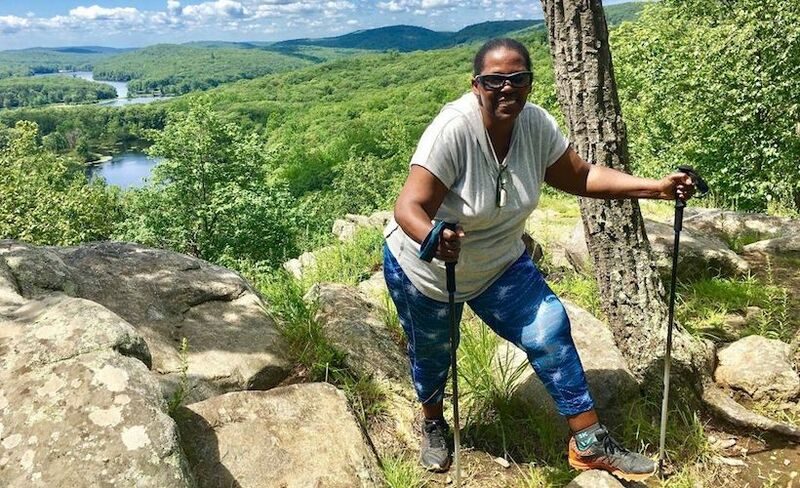 My mother, who has for years suffered from various health issues, looked up at the long hill we had to hike up, took a deep breath and started up the steep incline. It took her a while to do so, but she made it to the top. Being a role model is paying it forward. I choose to do this by shifting my focus from what is not possible to what is, and I hope that that is the energy and spirit I exude. I look at my mom, and I see that she persevered in climbing many metaphorical mountains, of her own volition and strength, just so that she could witness vast and uninterrupted beauty from the top. On this day, she accomplished something she had never done before. This woman has always been my role model, and I’ve always try to pay it forward by being hers. If folks are encouraged by what I do; if they can see a bit of themselves in me; if they feel inspired to put their running shoes or hiking boots on or try yoga, or attempt a class at the gym they’ve always been intimidated by—then I’m going to keep doing what I do. I will continue to have high expectations for myself. I will continue to be out on the trails and on the road, at the gym lifting heavy, in the pool swimming laps in a figure-hugging bathing suit, or simply out in the world sharing my enthusiasm for movement, authenticity and for life. I thank my beloved running community for allowing me this.